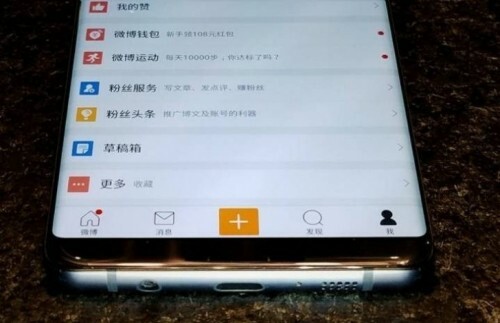 The device depicted above is running the Weibo app. Display bezels are inconspicuous, which allowed to leave the overall size of the Galaxy S8 nearly identical to the size of the Galaxy S7, but increase the screen. Physical Home button and navigation keys are missing, however, the speaker, USB-C port and headphone jack are just where they are expected to be. Please note that Samsung has not confirmed that the leaked image is of the actual device, so it should be taken with a few pinches of salt, just like other rumors and leaked parts. Samsung’s Galaxy S8 will get an AMOLED display, Snapdragon 835 processor, and 6GB of RAM. The manufacturer will announce it in March and launch someday in April.